At first blush, a male-skewing sport partnering with a female-skewing food outlet seems odd. But for Fox Sports, which is revving up for the start of the Nascar season with the annual Daytona 500 on Sunday, pairing with Meredith's AllRecipes.com to create a food-focused social community and brand page makes more sense than you might think. "We wanted to start to talk about Daytona as a day that families get together," said Robert Gottlieb, Fox Sports' evp of marketing. "It was important for us in framing that conversation to reach into food and lifestyle." 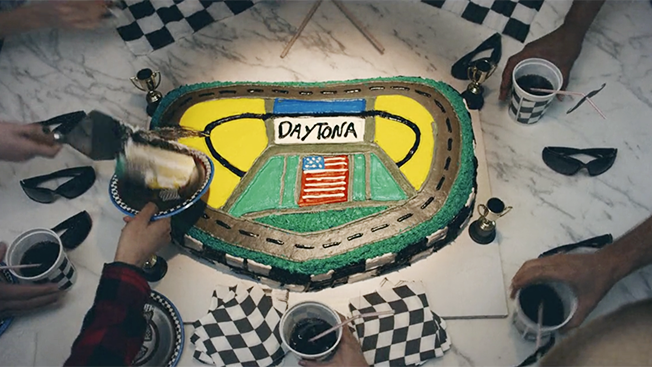 The idea of a "Daytona Day," which has been integral to Fox's marketing strategy around the "Great American Race," is nothing new for Nascar's core fan base. Gottlieb said racing fans have gathered for years to throw parties and watch the race, similar to how the NFL has made the Super Bowl an all-day social affair. "We're kind of formalizing it," Gottlieb said. The special Nascar on Fox page will feature custom recipes, menus, videos and content tailored for those throwing race-day parties. It also leverages its proprietary data intelligence capabilities to analyze the more than 3 billion pages of content related to race-day recipes viewed annually. AllRecipes' social influencers will also share their own custom race-day party menus designed specifically for Nascar fans. The partnership with AllRecipes extends beyond the Daytona 500; Fox holds the broadcast rights to Nascar for the first half of the season. AllRecipes relaunched in September with an emphasis on social features and partnerships like this in mind. "One of the visions was to enable us to meaningfully build communities of interest around food," said Marc Rothschild, svp of Meredith Digital. Eventually, the company would like to partner with other TV networks and brands. "Our consumers are the de facto entertainers who bring together and aggregate friends for events and parties," Rothschild said. "For brands that support Nascar or want to, they have a new entry to reach consumers." "We knew endemically what their audience was and how our connection could work with them," said Gottlieb.